Open Eyes Mission was pioneered by Rev. Glimar “Glem” Melo in 1997. He left the United States and moved to Mindanao in January 1998. At first, he served as preacher in Operation Blessing medical missions. Then in 1999, he started reaching Muslims and animistic tribes in the border of Bukidnon and Lanao del Sur with the gospel of Jesus Christ in word and in deed. 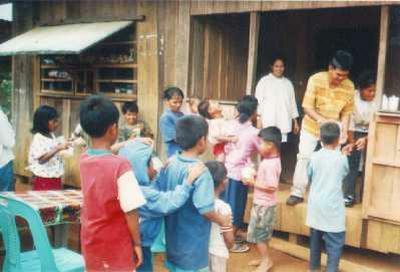 Today, 20 years later, Open Eyes Mission has accomplished much by the grace of God. More than 3,000 disaster victims have been served through relief and recovery programs. More than 1,000 children-at-high-risk have been reached through Sidewalk Sunday Schools, personal visitation and feeding programs. More than 50 families have been helped through holistic development services. 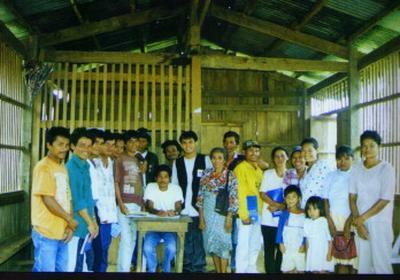 More than 1,500 pastors and leaders have been trained in Mindanao and all over the Philippines. Four (4) churches were planted in Roman Catholic areas. Two (2) church planting teams were deployed to Muslim areas. In partnership with the Asian Center for Missions (ACM), more than 130 Filipino missionaries were trained and more than 35 deployed to China, Pakistan, and other restricted-access countries in Asia. A church planting team has been formed in Chicago’s Devon/Little India area, where 35,000 people live — Indians, Pakistanis, Afghans, Rohingyas, Syrians, Burmese, and other ethnicities. Churches are being served and formed in the Middle East: Lebanon and Turkey. Pastor Glem and his family planting churches among Muslims in Devon/Little India, Chicago, U.S.A. Please help us serve more and more of the poorest of poor children and families in Mindanao, other destitute areas in the Philippines, in the United States, and the Middle East. Click here to get involved.